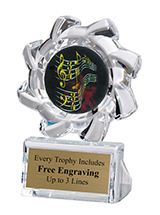 Acrylic music awards are trophies made from acrylic that feature a music note artwork. 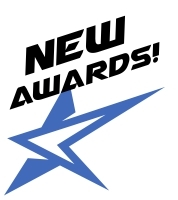 The awards are free standing so you can place them on a shelf or mantle or a desk and they look very sharp. The acrylic music awards especially appeal to younger recipients - they are something a little different from the traditional column trophies.